Everybody seems to love President Mauricio Macri outside Argentina – it’s not hard to understand why – but he faces tough challenges at home. Foreign supporters have plenty of reasons to believe in him. First, he is not Cristina Fernández de Kirchner, the former president whom they branded a populist too close to Venezuela, Bolivia, or Ecuador. Like many conservatives inside Argentina itself, they see Macri as the person who avoided the “Venezuelization” of the country, and his market-friendly credentials were sealed through his campaign promise of a “rain of investment” and his government’s implementation of a package of measures aimed at financial liberalization, regulatory flexibility, liberalization of foreign trade, and stronger fiscal discipline. He has been less confrontational in diplomacy. “Return to the world,” “de-ideologization,” “pragmatism,” and “transparency” are the continuous slogans that draw the foreign accolades. Things look different at home, however. The federal government confronts a convoluted scenario in the next 100 days, during which it will face at least three sets of sensitive issues in the run-up to Legislative primaries in August and elections in October. Domestic issues. The government will have to deal with a hostile internal front. One challenge will be resolving a long-running pay dispute with teacher unions – especially in the province of Buenos Aires. Another is quelling complaints about steep increases in the costs of government services and deep slashes in funding for Science and Technology, Culture, Human Rights, Health, Production, and Energy. Macri’s failure to meet inflation reduction targets (prices rose by 40 percent in 2016); the need to stimulate the economy; and debates on tax reform are a daunting agenda. Controversy over human rights and immigration. One of the Achilles’ heels of the current administration is the imprisonment of social activist Milagro Sala in the northwestern province of Jujuy. An ally of former President Fernández de Kirchner, Sala was arrested in January 2016 – one month after Macri took office – on highly contested charges: initially of “instigate criminal activity disorder” and later of “illicit association, fraud, and extortion.” Pope Francis, Canadian Prime Minister Trudeau, and UN officials have expressed concern, fueling tensions inside Argentina. An immigration reform decree facilitating deportations and restricting access at border crossings has been rejected by social movements, international organizations, and much of the Argentine political opposition. The repudiation is not only felt in the formal political arena but also on the streets. External dynamics with internal consequences. Brazil’s Lava Jato scandal is splashing as much onto Macri’s government as his predecessor’s. Officials from both administrations are being accused of receiving bribes from Odebrecht, the largest Brazilian construction company, and no one knows how this process will develop hereafter. Congresswoman and Macri ally Elisa Carrió claims the whole political elite is complicit in the Odebrecht mess. The “Panama Papers” – leaked from the law firm Mossack Fonseca, which allegedly was involved in helping companies hide bribes paid to a number of South American leaders – has so far not touched Macri, whose family has links to firms cited in the documents. The August primaries, followed by full legislative elections in October, are a potential inflection point for both Macri and his opponents. Neither side has yet announced its slate of candidates, but one essential factor is already clear: the candidacy (or not) of Cristina Fernández de Kirchner. The primary election will define how the pieces of the political chessboard are placed, and Macri’s handling of his economic, political, and social challenges will be decisive. Achievement of his reform agenda – including the overhauling the National Institute of Statistics and Census (INDEC, accused of cooking data during previous governments), an ambitious “Plan Belgrano” infrastructure program, and the end of currency controls – may not be enough. The potential reunification of his key Peronist opponents, increased social unrest, splits in his own coalition, and the spillover from the Brazilian crisis suggest a sobering future. True love cannot be achieved from one day to the next, but in the domestic political arena it is simple to lose it suddenly. * Nicolás Comini is Research Fellow at CLALS; Director of the Bachelor and Master Programs in International Relations (Universidad del Salvador, Argentina); and Professor at the New York University-Buenos Aires. The visit of Dutch Foreign Minister Timmermans to Cuba earlier this month marks yet another crack in the European Union’s 1996 Common Position on Cuba, which conditions normal relations with the island on democratic reforms. Days later, EU Commission President Barroso acknowledged that a number of member states were pressing for a reevaluation of the Common Position, and Spanish Foreign Minister García Margallo announced that the issue would be taken up at the EU foreign ministers meeting on 10 February – adding, however, that any new policy “would have, as a determining factor, respect for human rights.” Amending the Common Position will require unanimity among the EU’s member states, something conservative governments – especially in the former socialist countries – have thus far blocked. The Common Position has severely constrained the ability of Brussels to respond creatively to rapidly changing conditions in Cuba today, but various European governments have expanded their bilateral economic and political ties with Cuba despite its strictures. Trade between Cuba and Europe, at 2.5 billion euros annually, has roughly tripled since 1996, and official development assistance to Cuba has quadrupled to nearly 60 million euros annually. Policies of engagement have proven more successful than policies of hostility and confrontation. 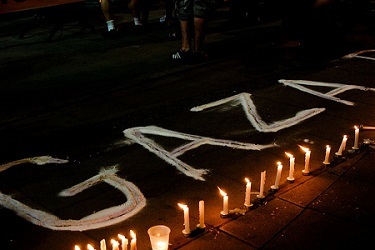 In 2010, quiet diplomacy by José Luis Rodríguez Zapatero’s government enabled Spain to play a crucial mediating role between the Cuban government and the Catholic Church, leading to the release of more than a hundred political prisoners – the largest such release since the 1970s. 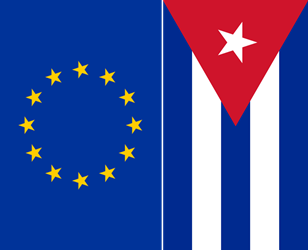 Cuba today is moving in directions that the EU has long favored. The “updating” of the Cuban economic model, begun in 2011, entails greater economic openness, reduced government regulation of private markets, and a larger role for private sector businesses. At the same time, although challenging Cuba’s one-party system or its socialist society is still out of bounds, there has been a very gradual opening of political space to debate the shape of Cuba’s future. Replacing the Common Position does not mean that European states, individually or collectively, would abandon their commitment to encouraging greater human rights and democracy in Cuba. But a warmer political climate would enable them to express their concerns more effectively through quiet diplomacy. What offends Cuba’s leaders is not that other states have different views on these issues; it is that the Common Position makes normal relations contingent on Cuba conforming to European norms, a litmus test that no other Latin American country is required to pass. *Dr. LeoGrande is Professor of Government in the School of Public Affairs at American University. This article is excerpted from an essay (click here) he wrote for the London School of Economics and Political Science blog.